Three years of intelligence-led and preventative policing has helped to reduce car crime in a Wellington city area by almost half. Compared to April 2015, reports of theft from cars has dropped by 46 per cent in Te Aro. Guided by Police, progress has been made through car park building managers and vehicle owners introducing prevention methods. 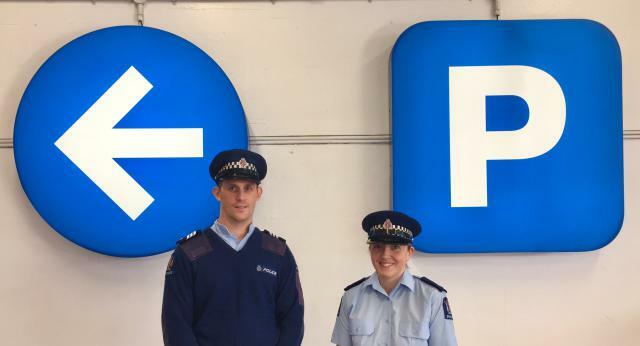 “A lot of work has been done around encouraging parking building owners to upgrade their lighting, security systems and even having staff around to do physical checks,” says Wellington City Area Commander Chris Bensemann. “The reduction in car crime should be reassuring for city dwellers, workers and visitors alike. Our goal is to make people be safe and feel safe. If drivers use secure car parks and keep valuables out of sight, they should be able to leave their vehicle and confidently go about their daily lives and enjoy all the events and venues our city has to offer,” says Inspector Bensemann. Effective interventions and partnerships have been developed across all Police and are currently co-ordinated by two prevention co-ordinators. “While Police do patrol in these areas regularly, we encourage owners to keep vehicles safe, by taking some very basic precautionary measures. And there are ways to do this, without it costing too much,” says Sergeant Hamish Knight. “Whether the cars are being targeted for people to steal items from them, or worse steal the entire car, owners should take precautions. Motorists using multi-storey car parks or even simply parking outside their houses on dark streets are urged to take valuables with them when leaving their vehicles,” says Sergeant Knight. “It’s vital to make sure technology, such as phones and GPS navigation units, are not left attached to the inside of windscreens. Leaving these valuables in plain sight presents opportunity for thieves,” says Acting Sergeant Raewyn Herrick. “Offenders are targeting vehicles with valuables in plain sight, breaking windows, taking items in view and quickly leaving the scene. Despite the significant decrease in thefts over the last few years, Police would still like you to lock your vehicle – and to make it even safer, you could purchase a steering lock, car alarm, or have vehicle immobiliser installed,” adds Acting Sergeant Herrick.